So, you got lot’s of money, and you want some James Bond feel in your life? You might end up with Vanquish. You have more zeros on your bank account than your eyes can count while viewing them grouped together, then you might already purchased gorgeous One-77, or you might be thinking about doing so with “weird” (politely said) Lagonda Taraf. No, seriously it wasn’t. 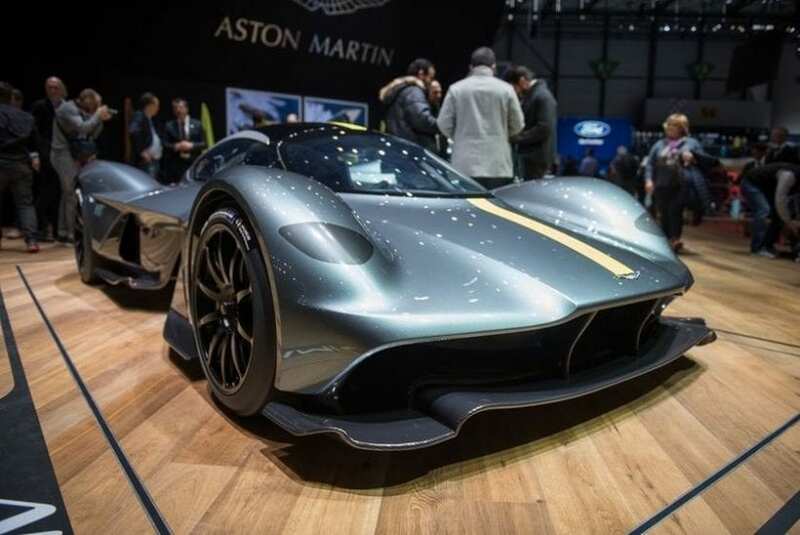 When last year Aston revealed AM-RB 001 we all thought- “fine, let’s see what will stick till the end,” despite British claim that appearance is close to the production one. And today, new photos emerged directly from the company and it seems that they are actually serious about putting, what is visually Le Mans car on the public roads. Demonic thinking without the doubt! Aventador looks exciting, Ford GT is tail intriguing, while Valkyrie is totally insane. In few words- it’s a Le Mans racer, in many words- it is extremely low, bumpers devoid, gull-wing doored, airplane cockpit decorated thing, shaped by the law of the winds. It is utter Sci-Fi stuff, and unlike Vulcan, this one will actually populate the public streets, besides track only side of it. The cabin makes Lotus feel lavish, and one glimpse at those bolted to chassis, if we can call them like that, seats, create a feeling of looking at torturing devices. 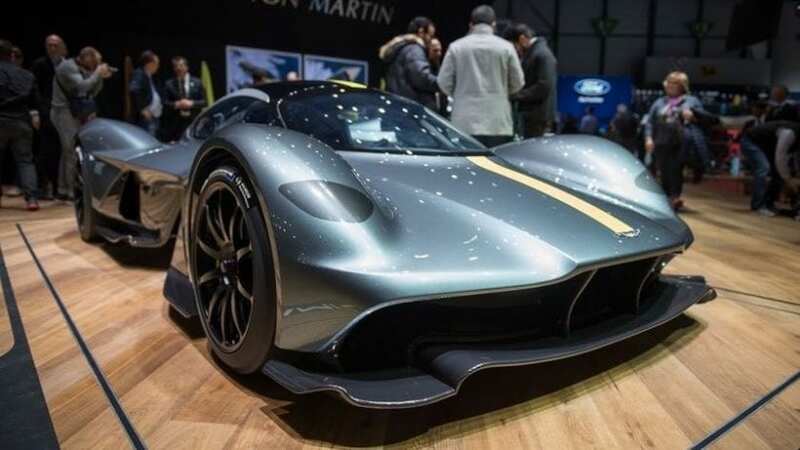 But then you will feel relief upon remembering that Aston is about to scan their buyers and contour the seats accordingly, just avoid buying it used. Valkyrie knows no mirrors, but it knows about the screens. Two of them inside replaced usual “back-watching” devices, while other two presumably provide some important data, how much distance till the next galaxy might be one of those. 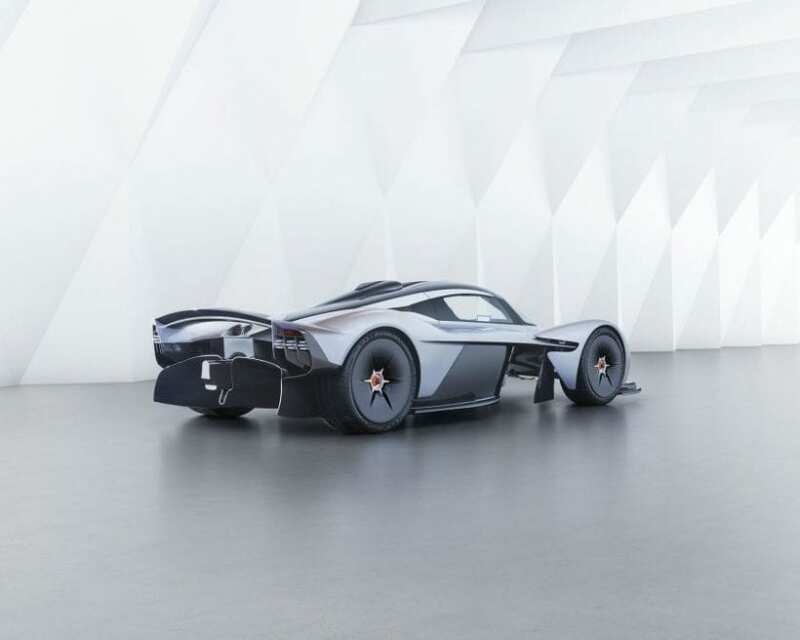 2018 Aston Martin Valkyrie doesn’t need just to appear Le Mans ready it needs actually to be. By Aston’s own words, track only version should bring real “24 Hours style” performance, while tamer road-going one should come as close as it can. For making that possible 6.5-liter naturally aspirated V12 is going to be accompanied by an electric motor since battery level indicator seen on steering wheel screen clearly points out. Power output will top 1000 hp, supposedly by 130 hp, while in order to keep insane 1:1 weight ratio (even overtopping it), scale indicator won’t pass over 2270 pounds. For the end, it will be expensive. It will be really expensive. For shaming LaFerrari, P1, Veneno, Huayra, 918 and similar stuff on any track over the world be prepared to cash out around $3 million. Yet, it’s still a lot cheaper than entering Le Mans.